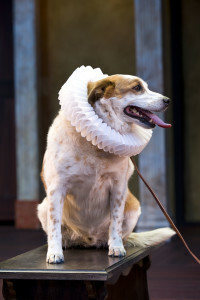 The dog must be calm, friendly and comfortable in front of large crowds, according to a press release of the Utah Shakespeare Festival. All breeds are acceptable. Rehearsals begin Aug. 17, with performances running Sept. 26 through Oct. 30. Previous stage experience a plus, but not a necessity, according to the press release. The owner of the dog will be paid but is responsible for having the dog at the theater for rehearsals and performances. Interested dog owners should submit a photo of their dog, along with a small description of its weight, breed, abilities, and any contact information to [email protected]. The Utah Shakespeare Festival will begin considering applications on April 17.